​Have students create and design for someone in their home. They know this person very well already and can access the user easily in order to solicit feedback. One of our most successful kindergarten design projects was designing a coffee cup for mother's day. Students interviewed their mother, created a prototype and went through many feedback rounds of taking their prototypes home in order to redesign the next day. Designing for someone they knew very well helped our students access the tough skill of empathy. Blend Next Generation science standards with design thinking by studying things closely...and on a systems level. Go on a bug hunt to notice bugs and their surroundings. What might be some challenges they have to endure? What adaptations have the insect species already designed to solve challenges? How does the environment affect the insect? Observing nature on a micro and macro level will help students build their observation skills for a more complex challenge- people. The new focus on close reading can also help students build empathy. While reading aloud, focus on specific words that give clues to understanding the character and his/her life. Building leprechaun traps, a classic project typically competed by many elementary teachers, can start with a close study of leprechauns. Students use the information they gathered to build uniquely designed traps. Storybooks such as The Leprechaun's Gold by Pamela Duncan Edwards and The Luckiest Leprechaun: A Tail-Wagging Tale of Friendship by Justine Korman are two that I happen to use. Who might this person be? What might he/she be thinking or doing? What problems might this person/animal have? What might make things better for them? Also, help students see different view points by discussing the different needs and motivations for various subjects in the photo. 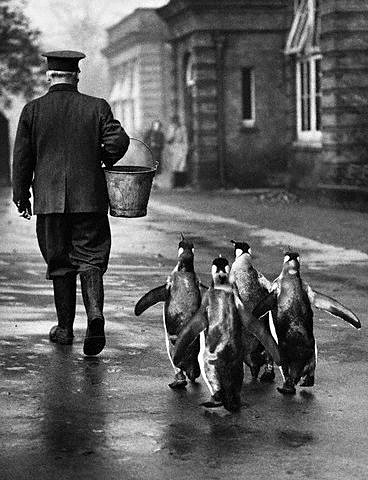 For example, the needs and opportunities of the man below are very different than the penguins' needs! Finally, encourage students to push past the obvious. 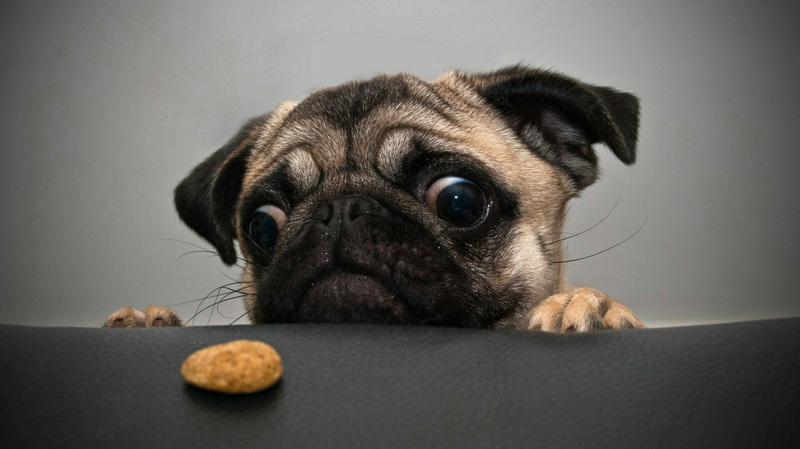 In the puppy picture, the puppy obviously wants the cookie but what other opportunities are presented? Is he hungry or bored? Does he need a way to reach the food? A way to behave? Does the missing owner have a need? Would he or she want the dog to have the cookie? If yes, what design opportunities are presented? Dig deep into empathy! Don't stop at the obvious. Why Design Thinking as an instructional model? Over the last five years or so I've been inundated with the message that the world is changing rapidly. We can't possibly know what jobs our students will have when they graduate from high school or college. I see it everyday as I watch Shark Tank and download the newest app. Thinking, "Why didn't I think of that?" I've always thought of myself as creative but now, looking back, I realize I was a "copier." I could draw pretty well as long as I was looking at a picture or image that someone else had already created. I was a good writer but was any of it really my thoughts or just summaries of others? I have always been an "ideas person" but usually look at what's out there first. Does that mean I'm truly coming up with new ideas or simply building on existing ones? I think this is why I fell in love with the Design Thinking Process in the first place. I loved how the structure pushed me out of my comfort zone. I got to play in a low stakes environment. Yes, maybe I am still building on other's ideas within the group but every time I engage in the process, I can honestly say something truly new comes out. ​After completing one Design Thinking workshop I was hooked. I could see the implications for teaching and learning. Kids could redesign recess, their classroom, a shade structure, the Civil War, a problem for a character in a book...My mind was spinning with the possibilities. As I implemented Design Thinking as an instructional model in 8th grade and then at the kindergarten and first grades, I saw deeper learning build. As my kindergartners designed coffee cups for their parents I watched their empathy muscles grow. By the end of the process they were able to look outside of themselves to actively listen to what someone else wanted. Creative confidence bloomed as first graders ideated how they might create an art station outside as a solution to boredom at recess. Math skills because a necessity as we created, administered and interpreted school wide surveys. My students are becoming independent problem solvers while learning common core skills purposefully along the way. They are learning to fail forward. To work together and communicate effectively. They are building awareness of the world outside of their classroom or family. And, we are having fun together. Why Design Thinking as an instructional model? It takes a lot of time. It's messy, It's unpredictable. And it allows students time and space to practice the 21st century skills they need for the future as they tackle real world problems. Let's take the focus away from just "covering the standards." Let's help our kiddos become successful contributors to a changing society.